Bostik Ditra-Set is composed of select, proprietary chemicals, carefully graded aggregates and purified cements. It provides outstanding workability, excellent durability, significant leveling characteristics and superior bond strengths in interior and exterior applications when used in conjunction with the Schluter-DITRA uncoupling membrane and Schluter-KERDI waterproofing membrane. Read and understand technical and safety data sheets completely, and any applicable Schluter-Systems literature, including the Schluter-DITRA Installation Handbook, before beginning installation. Use Bostik Ditra-Set to install the membranes over substrates approved by Schluter-Systems and to set ceramic, porcelain, and stone tile over Schluter-DITRA and Schluter-KERDI. All surfaces must be structurally sound, clean, free of dust, dirt, oil, grease, water, curing compounds, sealers, waxes or any contaminants that may inhibit proper bond. TCNA recommends roughing or scarifying glazed tile substrates. Any leveling or sloping must be done prior to installation of Schluter-DITRA and Schluter-KERDI. Shipping is at an additional cost. Ditra-set can be picked up from our warehouse at no additional cost. If purchasing over 10 bags, using freight may be considerably cheaper for you. Please contact us for more information. Temperatures must be between 50°F (10°C) - 100°F (0°C) during installation. Keep all foot traffic off the installation until the tile is firmly set (approximately 12 hours). 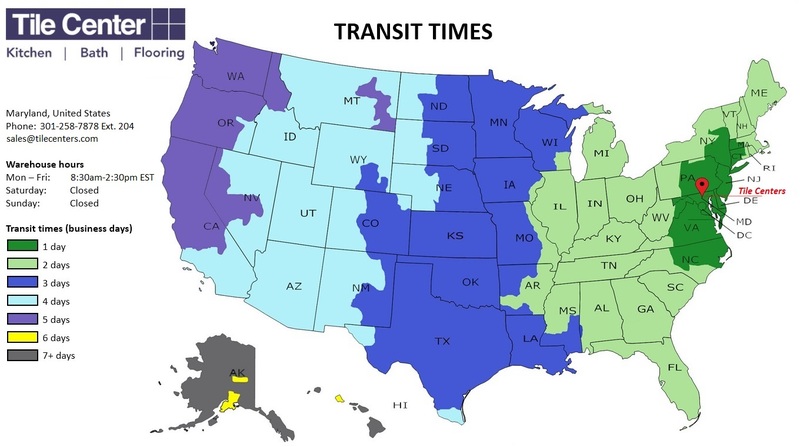 Set times are dependent upon temperature, humidity, the porosity of substrate and tile size.